Jessica Zhang (alternatively: Jess, or JZ) is a senior majoring in biochemistry and minoring in music. She has interest and prior lab experience in origins of life chemistry, prokaryotic cell biology, and in vitro reconstitution of biological systems, working in labs at the The Scripps Research Institute- La Jolla, University of Michigan, and University of California San Francisco. 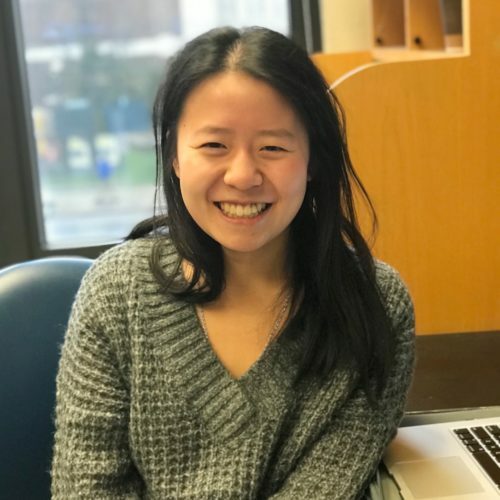 Upon graduating, Jessica’s first goal is to sleep, but then travel and visit family and friends before starting graduate school for biochemistry/cell biology. Wherever she ends up, she wants to study the principles of self-assembly and self-organization. Outside of working at the bench and being an SLC tutor, Jessica is also the President of the Michigan Boxing Club and won a national championship the past season.